Shakuni - A Villian or a Victim of Circumstance? Shakuni, also lesser-known as Saubala, was the prince of the Gandhara Kingdom, which is the present-day Kandahar in Afghanistan. He is famed for being one of the pivotal negative characters of the Hindu epic, the Mahabharata – a villain, who is believed to have veritably changed the landscape of the epic. The brother of Gandhari (wife of the blind King, Dhritarashtra), Shakuni is the maternal uncle of Duryodhana (the eldest son of Dhritarashtra and the leader of the Kauravas), and also the central negative character in the Mahabharata. Shakuni was extremely intelligent and equally devious as well. Oft times, he is said to be the mastermind behind the great war of Kurukshetra. This character of Shakuni, however, is mired in controversy, with many experts choosing to believe that he was not quite as insidious as he is considered to be. Who was Shakuni in reality? Was he the villain or just a vastly misunderstood entity; a victim or circumstance? Did he have a better side to him? Was it merely his karma and that of the Kuru Dynasty that scripted his role to spearhead the Kaurava clan to their steep decline and ultimate decay? In this article, we bring you the story of Shakuni and his real role in the Jaya (the Mahabharata is also referred to as Jaya). Shakuni was born in Gandhara, the present-day Afghanistan, to King Subala. He was greatly devoted to Lord Shiva. He had a sister, Gandhari, who he was very fond of. According to legend, Gandhari was a manglik. In Hindu astrology, a manglik is a person whose horoscope contains Mars in a certain house, which is considered unfavorable and inauspicious, especially for marriages. It is believed that the marriage between a manglik and a non-manglik would give rise to disastrous effects, failure of the marriage or even death of one partner. A manglik marrying another manglik, however, would cancel out the ill-effects arising out of marriage. There is yet another belief that the negative consequences of a single manglik marriage can be resolved by conducting a ceremony called “kumbh vivaah”, that is, getting the manglik “married” to a banana tree, a peepal (sacred fig) tree, a silver or gold idol of Lord Vishnu or, rarely, to a sacrificial animal. Legend has it that Gandhari was first married off to a goat, before being married to Dhritarashtra, the blind prince of Hastinapur. He was a non-manglik and hence, her family believed that it would be safe to give her away in marriage to Dhritarashtra, once they sacrificed the goat after getting them married! Dhritarashtra heard of this incident much after their marriage and was enraged, as her secret first marriage technically made him her second husband. As punishment, he decided to put Gandhari's family in prison, including King Subala. He decided to gradually starve them to death and so, each of them was given only one fistful of rice to eat everyday. Knowing that they would not live long on this diet, Gandhari's father asked his youngest son, Shakuni, to consume all the food given to them, so that at least he would survive to avenge their death. In order to make sure that he would forever remember to take revenge, his father twisted his leg – that gave him the permanent limp that typically characterizes Shakuni. Before breathing his last, Subala also requested Dhritarashtra to set Shakuni free and also take care of him, promising him that his son, in turn, would always take care of and protect Dhritarashtra's sons. By that time, Dhritarashtra had a hundred sons and one daughter. He took pity on his father-in-law and agreed to fulfill the elder's request. Sure enough, Shakuni survived and swore to wreak vengeance on the Kuru dynasty as a whole. It is believed that he used the thigh bones and backbone of his father's body to create the dice, using which he was able to defeat the Pandavas in the elaborate Game of Dice that followed in the years ahead. This set of dice, it is said, had magical abilities, as his father's soul resided within them. They would help him win all games of dice he ever played during his lifetime. As promised, Shakuni became the guardian of all the hundred Kaurava sons. He moved closely with all of them, showing special attention and affection toward Duryodhana. With the passage of time, he became their trusted confidante. He used this trust to instill hate and wicked thoughts about the Pandavas in all of them. He knew that the Kauravas would not stand a chance against their mighty cousins, the Pandavas. Yet, he spurred them on to fight the latter – this brought the eventual downfall of the Kauravas, thus helping him fulfill his father's wishes. Another version about Shakuni's life relates a different reason why he wanted the downfall of Hastinapur. This story, however, has no mention in the Mahabharata epic and hence, it must have developed and evolved as part of popular folklore. According to this account, Bheeshma's ancestors carried out a military attack from Hastinapur, upon Gandhara. The King, Achala Suvala, got killed in this battle. The winning side imprisoned all the male members of the Gandhara, on the grounds that they were indulging in adharma (or being unrighteous). Shakuni and a hundred others (some believe that he had a hundred brothers), who were among the prisoners, were fed only one grain of rice each day. The family decided that one member had to survive in order to take revenge on their tormentors and unanimously chose Shakuni. They offered each of their grains of rice to him, so that he could live to carry out their plan at a later stage. Shakuni was angry with Bheeshma for having requested Gandhari's hand in marriage to the blind prince Dhritarashtra. He found it most insulting and humiliating that his sister had to face such misfortune, merely on account of her being a manglik. His rage was fanned further by Dhritarashtra's cruelty toward his family. He swore to avenge this insult by destroying the Kuru clan, slowly, step by step. Shakuni is usually perceived as being wicked, cunning and extremely scheming. In fact, he practically masterminded the great war of Kurukshetra. His entire mission was to take revenge for several unjust events that took place in his life or the life of his near and dear ones. He wanted to avenge Gandhara's defeat at the hands of Hastinapur and the way his whole family had to suffer for it. He fumed at Bhishma's insult – when the latter insisted that his sister, Gandhari, marry the blind Dhritarashtra. He also wanted to see the Kauravas reigning over the Pandavas and completely defeating them (though he knew that may never happen). Shakuni worked tirelessly to inject poison in the minds of the Kauravas, against their cousins, the Pandavas. He planned and plotted several crimes against them. Most of his plans failed, as Lord Krishna's presence in the Pandavas' lives invariably saved them time and again. Yet, Shakuni kept up with his endeavors to destroy the Pandavas. Strangely, Shakuni was well aware, in a corner of his heart, that he would never be able to fight and win against Krishna and that the Kauravas would eventually have to accept defeat. But his hatred for Dhritarashtra and the Pandavas too was so great, that it overrode anything and everything else. Shakuni's only saving grace was his true and undying love for his sister, Gandhari. Once she was married to Dhritarashtra, she had voluntarily decided to blindfold herself, so that she could also partake equally in her husband's misfortune. Shakuni never approved of his sister's sacrifice and kept asking her to remove her blindfold, if only to see Bheeshma's destruction. Her stubborn refusal to do so incensed him further and he vowed to avenge this injustice that was served to Gandhari. Shakuni permanently stayed on at Hastinapur, as he knew that he could fulfill his mission only if he was always there to oversee matters there. As a result, he neglected his duties as the King of Gandhara. If questioned about it, he would always justify his actions, saying that his love for his sister was much greater than the concern he had for his own kingdom. In actuality, it was his hatred for Hastinapur and the desire to bring down the Kuru Dynasty, that kept him rooted to that kingdom. Needless to say, it remains a mystery as to how and why Shakuni was allowed to live in Hastinapur, years after his father's death. The elders of the Dynasty had always known of his cunning and conniving ways. They all knew exactly how cruel he was capable of being, and yet, they permitted him to reside in the palace. This point is slightly illogical and fantastic, especially as it was considered below one's dignity to stay on in a sister's marital home. He being the King of Gandhara, it was only right that he was sent back to his own kingdom. Though this raises more questions, it does create a rather mysterious and eerie air about Shakuni, which further adds to his malicious image. As mentioned earlier, Shakuni created his set of dice using the bones of his father's body. It is said that this was the reason why his dice always obeyed him – his father's soul resided in the dice and hence, it would help him manipulate his moves. While it seems quite improbable that he actually tore through the flesh of his father's body to retrieve his bones, it does explain how Shakuni always won each and every game of dice he ever played. The Game of Dice is one of the most important events in the Mahabharata and this magical aspect of the dice also contributes in a big way to the epic. There is no mention of the above, however, in the Mahabharata. Some believe that this story was made up much later by different authors. 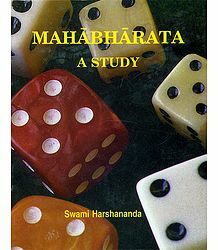 According to this version, Shakuni's dice were made of ivory. Shakuni was believed to have the power to create illusion at will. He supposedly created an illusion during the Game of Dice, thus making the Pandavas, and the others present in the court, believe that they had lost the game and that his side had won. Bheema, the strongest and biggest of the Pandavas, was always ready for a physical duel. He used to engage in bouts and would defeat the Kauravas each time. Duryodhana was already angry at him for humiliating him so often. Understanding his nephew's hatred for the boy, Shakuni asked Duryodhana to poison his food and then, to drown him in the River Ganga. Accordingly, Duryodhana invited Bheema to partake of some sweets, which were laced with deadly poison. The latter fell unconscious after eating them. Thinking that Bheema was dead, they threw him into the Ganga. Fortunately, Vasuki, the King of Snakes, spotted the boy and saved him. Warning Bheema about his cousin's hatred for him, he also blessed the boy with the strength of a thousand elephants. Shakuni hatched a plan with Duryodhana to build a Lakshagraha (Palace of Wax) for the Pandavas to reside in, at a place called Varanavrata. Duryodhana worked along with his counselor, Purochana, to put the plan into motion. The latter created the palace in no time at all. The idea was to burn the Pandavas alive inside it. Luckily for the Pandavas, Vidura sensed something amiss, kept tabs on the Kauravas and got a whiff of their plans. He helped the Pandavas escape from the palace and move to a safe place. Bheema barricaded the palace and trapped Purochana and set fire to it, thereby burning the latter to ashes. The Game of Dice is an episode that changed the very course of the Mahabharata. Shakuni, the expert with his dice, also a master of illusion, got together with Duryodhana to hatch yet another plot to destroy the Pandavas. They invited them to a game of dice. Yudhishthira, the eldest of the Pandavas, had a weakness for the game. He immediately agreed. Once there, Duryodhana said that his uncle would be casting the dice for him. Predictably, Yudhishthira kept losing each game, also losing his possessions with each wager. He lost his palaces, property, herds, army, servants and even his own brothers, one by one. He then lost his own identity and gave up his crown. Finally, he was asked to wager Draupadi. He did so and lost her too. 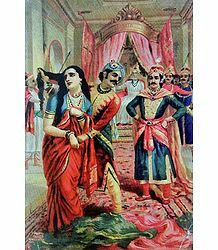 Draupadi was forcibly brought into the Durbar by Dusshasana (Duryodhana's brother) and, in spite of pleading with all the stalwarts present there, was ordered by Duryodhana to be stripped of all her clothing. This sent shockwaves through the entire Durbar, but no one uttered a word in support of Draupadi. Dusshasana started pulling out her saree and Duryodhana was jeering at her sorry state. Utterly humiliated and enraged at the injustice meted out to her, Draupadi prayed to her only savior, Lord Krishna. He immediately graced her with reams of cloth, which kept draping endlessly over her body, thus protecting her modesty from being outraged in public. Dusshasana kept pulling at her attire and the cloth continued to drape around her. Finally, he got tired and fell to the ground. The court was left stunned by the incident. Once Draupadi came out of her stupor and realized how Krishna had saved her, she thanked him immensely, then also cursing that the entire Kuru clan would be destroyed. She also vowed not to tie her hair till Duryodhana was slain and her hair was bathed in his blood. The Pandavas too took an oath that they would kill all the Kauravas, in order to avenge their wife's humiliation. This incident actually set the stage for the war of Kurukshetra. Durvasa was a Muni (sage), who was infamous for his bad temper. If anyone dared to anger him even in a minor way, he would end up laying a terrible curse on them. After losing the game of dice, the Pandavas were on their Vanvaas (stay in the forest). Shakuni wanted to create more trouble for them and so, he requested the sage to visit him, knowing that the Pandavas would have nothing to feed him. Durvasa, along with several disciples, reached after they had finished their lunch. Panicked, the Pandavas asked him to take a dip in the river, by which time they would prepare lunch for them. Not knowing what to do, Draupadi prayed to Krishna. He appeared in front of her and asked her for some food. She broke into tears and told him there was no food remaining. He asked her to bring the Akshaya Patra (a magical vessel that would always be filled with food). Finding a leaf of Amaranth stuck inside it, Krishna ate it and sipped some water as well. He then left, reassuring Draupadi that all would be well, asking her not to worry about Durvasa. At the same time, Durvasa and his disciples felt that their stomach was full and that they were not hungry anymore. Worried that the Pandavas would take offense when they did not eat what was cooked especially for them, Durvasa quietly left the spot and never returned to the hermitage again! Shakuni continued to connive against the Pandavas both before and during the course of the Kurukshetra war. Before the start of the war, he advised Duryodhana to befriend King Shalya, Pandu's brother-in-law (brother of Madri, who was the mother of Nakula and Sahadeva). Shalya had the unique gift of becoming much stronger while faced with aggression. A skilled archer and strong mace fighter, he was a warrior who was looked up to with fear and respect by both allies and foes. Shakuni asked Duryodhana to trick Shalya by hosting a feast for him and his huge army. Shalya, who mistook Duryodhana for Yudhisthira, was impressed by his hospitality and offered his services to him during the war. When he realized he was tricked, he visited Yudhishthira and apologized to him, also promising that he would try his best to demoralize Karna's spirits (he was asked to become Karna's charioteer) during the course of war. Shalya inflicted much damage on the Pandavas' army, causing the death of many. Toward the end of the war, he was killed by Yudhishthira, while in spear combat. 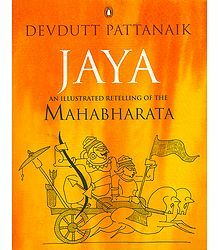 His death brought down the Kauravas' spirits, also reducing their ranks, as Shalya's army began retreating in sheer fear. During the war, Shakuni plotted with Duryodhana to kill Abhimanyu, the young and valiant son of Arjuna and Subhadra. He was also the nephew of Krishna and husband of Uttara, the Princess of Matsya. 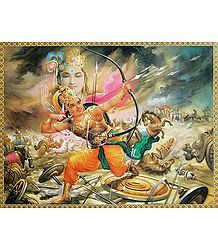 Abhimanyu had inherited his skill and valour from Arjuna and grandfather, Lord Indra. He was only 16 years old, but decided he was fit to fight the Kurukshetra war. He fought valiantly, impressing greats such as Bheeshma, Drona, Karna, Kripacharya, Shalya, Ashwatthama and even Duryodhana himself. On the 13th day of the war, he entered the powerful, seven-tiered Chakravyuha battle formation, created by the Kauravas. Only Krishna, Pradyumna and Arjuna knew the secret technique to break this formation and win. Arjuna was lured away from him, so that they could kill and trap the young lad within this formation. Abhimanyu was aware that his knowledge was limited and that he could lose his life. However, he fought brilliantly and overwhelmed even the greatest warriors facing him inside the vyuha. He managed to wreak much damage on the Kaurava army, till the time Shakuni stabbed him. Then all the warriors continued to attack him, till he fell on the ground and breathed his last. After the way Shakuni and the Kauravas had insulted the Pandavas in the Game of Dice episode, the latter swore to kill them all. They were especially particular about killing Shakuni, who they considered the main villain behind the unfortunate turn of events. Accordingly, they were looking for just one opportunity to kill Shakuni. The latter, however, managed to outsmart them each time and managed to slip away, in order to avoid being slain by them. He survived till the very last day of the war. 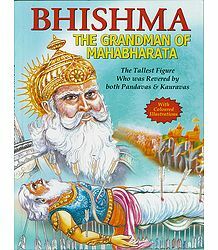 He had seen the mighty Bheeshma falling on his Sharshaiya (bed of arrows) and then breathing his last; Drona decapitated; Karna killed unjustly, while trying to pry out the wheel of his chariot, which had got stuck in a rut; Dusshasana being mutilated and killed; and all Kauravas being slain mercilessly – all expect one, namely, Duryodhana. He knew that Shalya's death was impending and that the great warrior could fall at any time at all. He then realized that his time was running out as well. He knew in his heart that Duryodhana would fall too, and that he would probably not be alive to see it happen. However, Shakuni was at peace in a sense, knowing that he had fulfilled the mission he had worked so hard at, all these years – that of taking revenge on the Kuru Dynasty; that of destroying each and every one belonging to that mighty empire. On the penultimate day, that is, on the eighteenth day of the Kurukshetra war, Sahadeva faced Shakuni on the battlefield. Being the wisest of the Pandavas, Sahadeva knew exactly what the latter's motive was, and the actual reason why he waged war against the Pandavas – in order to seek revenge. Sahadeva told Shakuni that he should stop fighting, since he had already achieved what he wanted to. He asked him to go back to his kingdom, Gandhara, and rule, instead of participating in this meaningless violence and killing. In that moment, Shakuni felt deep remorse and a genuine repentance for all that had transpired in the recent past. He suddenly felt like opening out to this young man standing in front of him – to talk to him, like an elder does to a younger member in a family. He recounted to Sahadeva all his childhood events; how his whole family had been tortured at the hands of Dhritarashtra; and how his sister had suffered marrying a blind King. He admitted to having poisoned Bheema; planning the Lakshagraha incident; chalking out a strategy to kill Abhimanyu and so on. He also confessed to all the other crimes he had committed in this lifetime and told the young man that he could no more bear to live on; carrying this load of remorse and guilt for all the evil deeds he had done in this lifetime. Shakuni finally revealed his good side – something that no one ever imagined existed! He told Sahadeva that the only thing left for him to do would be to sacrifice his life on this very battlefield. He further stated that it would be an honour for him to shed his mortal coil in a battlefield as great as Kurukshetra; in a place where such great Maharathis (mighty warriors) had fought and been martyred. Once he had finished saying all that he had to, Shakuni started attacking Sahadeva with arrows. He knew he had to die and so, was spurring on the latter to kill him. After a brief fight, Sahadeva cut off his head. That marked the end of evil – the slaying of Shakuni. One of Shakuni's most valorous descendants was Ambhi Kumar, ruler of Gandhara. He was also a direct descendant of Prince Bharata (of Ramayana). He and Chandragupta Maurya trained together in Taxila, during their childhood year. Later in life, Ambhi Kumar was deposed and killed by Chandragupta Maurya himself, who then became the Emperor of the Mauryan Empire. 1. Shakuni had no real animosity toward the Pandavas. He was actually targeting Bheeshma, since he was the reason that Gandhari had to sacrifice so much after her marriage to Dhritarashtra. Additionally, Bheeshma's ancestors had been responsible for destroying Gandhara in the past; as also for torturing Shakuni and his family. Hence, he wanted to wreak revenge on them. He was well aware that Duryodhana was no match for the Pandavas and yet, he instigated his nephew, knowing that this was the only way he could bring doom to the the Kuru Dynasty. To that extent, he probably never really loved Duryodhana the way he claimed to love him. 2. Shakuni was also referred to as Saubala. His father, King Subala, had hundred sons and one daughter, Gandhari. Shakuni was the youngest son; also the most intelligent of the lot. Since he was the hundredth son, he was named Saubala. 3. Shakuni had two sons, namely, Uluka and Vrikaasur. These sons, however, were relegated to the background, as his constant focus was on Hastinapur. Uluka always wanted his father to return to Gandhara before the Pandavas returned from their one-year-long Agyaatvaas (anonymous stay). However, he opted to stay on, in order to put the Kurukshetra war in motion. 4. He was an ardent devotee of Lord Shiva. Gandhari was a devotee of Lord Krishna and always prayed to him to protect her and her family. However, Shakuni's Ishta Devata (favourite deity) was Lord Shiva. 5. Shakuni has a temple dedicated to his worship, in the state of Kerala. Although he was a negative character, there were some undeniably good traits in him, which were acknowledged by the Kuravar community in the Kollam District of Kerala. The Pavithreswaram shrine there is dedicated to him. It houses a throne, which he was believed to have sat on. They say this was the very place where he attained Moksha (liberation). Shakuni was believed to have traveled across the country with the Kauravas. When they reached the place where the temple is now located, they divided their weapons amongst themselves. Ever since then, the place was called Pakutheswaram and then later came to be known as Pavithreswaram. Interestingly, there is another temple nearby, which is dedicated to Duryodhana. Shakuni is considered to be the personification of the Dwapara Yuga and Duryodhana, as Kali of Kali Yuga. No Puja or ritual of any sort is performed at Shakuni's temple. Offerings to him include tender coconut, toddy, silk and so on. The temple is maintained to this day by the same Kuravar community. Having known about this interesting character, Shakuni, what are your views about him? Was he a villain or a mere victim? Was he perpetrator or prey? 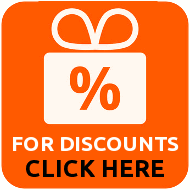 Feel free to express your thoughts in our discussion board below.